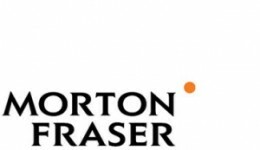 Morton Fraser is a thriving, top ten Scottish law firm delivering clear legal advice to businesses, the public sector, families and individuals. The firm has had a strong presence in Scotland for over 180 years, and in 2013 it joined forces with the country's oldest law firm, Macdonalds, which can trace its origins back to 1614. To complement this, Morton Fraser has a base in London to meet the needs of clients and contacts located south of the border and has links to over 160 international firms as the only Scottish member of Interlaw. With a highly talented team of lawyers, Morton Fraser provides specialist expertise across six main business areas: banking, corporate, commercial real estate, litigation, public sector and private client. The single word which captures what Morton Fraser stands for is “clarity”. The firm’s promise to clients is that that they will get clear advice, including clarity on cost, at every stage of the relationship. Morton Fraser’s impressive client base includes BAA (now Heathrow Airport Holdings), Diageo, Royal Mail Group, The Ministry of Defence, Scottish Government, Tesco and Rockspring.